Sell iPhone 6S Plus | How Much is My iPhone 6S Plus Worth? Sell your iPhone 6S Plus for top dollar at GreenBuyback. Select the information above in order to receive an accurate quote for the iPhone 6S Plus you want to sell. Click sell item if you agree with the price that is displayed. GreenBuyback purchases cell phones, tablets, and laptops at the highest prices in the industry! GreenBuyback pays cash for your old cell phones, tablets, and laptops. When you sell your cell phone, tablet, or laptop to GreenBuyback you will never have to pay shipping. GreenBuyback is dedicated to maximizing the cash back to our customers. Sell your iPhone 6S Plus for cash today! 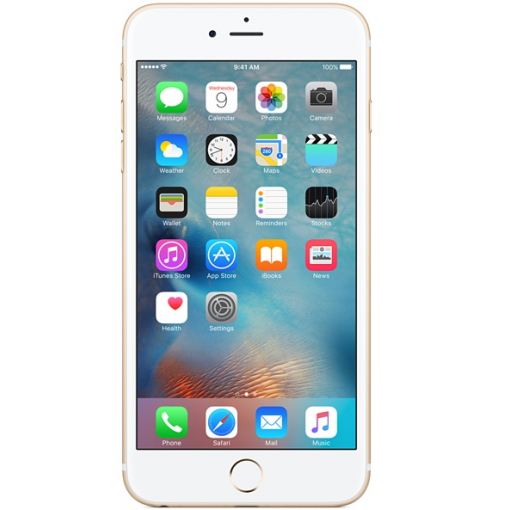 Originally released in October 2015, the iPhone 6S Plus is the big brother of the iPhone 6S and boasts several improvements over the iPhone 6S where it counts. The phone is bigger and faster than the iPhone 6S. The bigger high resolution screen makes watching videos and shows much more impressive. Speed and battery life help out here too, as the iPhone 6S Plus beats out it’s little brother here too. GreenBuyback will buy your iPhone 6S Plus in any condition, even broken! Simply head to GreenBuyback to get a quote, send your iPhone 6S Plus, and get cash quick! The phone is large measuring 6.2 inches high and 3.1 inches wide. Honestly, at still only 6.77oz in weight, the iPhone 6S Plus is still manageable, especially if you are looking for something to read and write emails on but aren’t ready to commit to a tablet. This is train or bus commuter’s dream phone! Selling a iPhone 6S Plus is so easy with GreenBuyback; send your iPhone 6S Plus to GreenBuyback with free shipping and you’ll get cash sent to you fast!